In a sunny North African country like Algeria, the potential of solar power is yet to be fully explored. To secure power resources needed for their daily activities, Algerian farmers currently have to resort to two basic options. The first is to use free power that is supplied by the government as part of the various schemes deployed around the country for this purpose. Algeria has a well-established network of electricity reaching the majority of towns and villages, but unfortunately when it comes to agricultural lands, it only covers a small portion of farming instalments. Additionally, this option is not ideal since not all farmers within the reach of the network receive their supply of free power during adequate times of the day. The next available option is to use diesel, which must be transported from the nearest town or village. With 13DA to 15DA a Lter as an average cost, this is not a cheap option though remains a popular one. The diesel option is also a particularly bad one for the environment. A liter of diesel emits 2.68Kg of CO2, and a diesel generator that consumes 0.5 liter per hour for a pump with a horse power of two will emit approximately 3.2 tons of CO2 if operated for 8hrs a day and 300 days a year. With hundred of thousands farmers completely or partially relying on diesel, the picture of the accumulated environmental damage caused by this option is a frightening one. Low quality diesel and low efficiency generators only aggravate the situation. The financial impact on the farmers who rely on diesel is also tremendous. For an 8hrs day operation, the farmer spends around 25.000-30.000DA per month on diesel. This would translate to 250.000 to 300.000DA of annual expenses, which is a lot if one considers marginal and low-income farmers. Indeed, a technology that uses clean, renewable and sustainable source of energy is crucially needed. This is what we are aiming to do at Auresia: that is, to build a low cost renewable energy system based on photovoltaic technology to power irrigation pumps and help farmers water their crops in an efficient, clean and cost effective manner. Auresia was formed in summer 2012 by a team of four engineering students from the Institute of Electrical and Electronic Engineering of Boumerdes University. The concept of the company was developed in the Inelectronics Students Club, the scientific club of the institute that is fully run, managed and administered by students to act as a hub for students who want to do more than just attend university courses. The inspiration behind this particular Auresia project came from watching my father. A farmer himself, my father works on a two-acre land that belonged to my grandfather in Tafrent, a small village that forms part of the Belzema National Park, forty kilometers north of Batna. My father routinely buys and uses diesel to generate electricity for his pumps and is constantly concerned about engine maintenance over time. Powering pumps through solar energy seemed like an efficient approach to addressing his issues and those of the many farmers who are working in similar situations. The irrigation system that Auresia is trying to build for this purpose is composed of solar panels and submersible pumps that reach 200 meters below the surface. 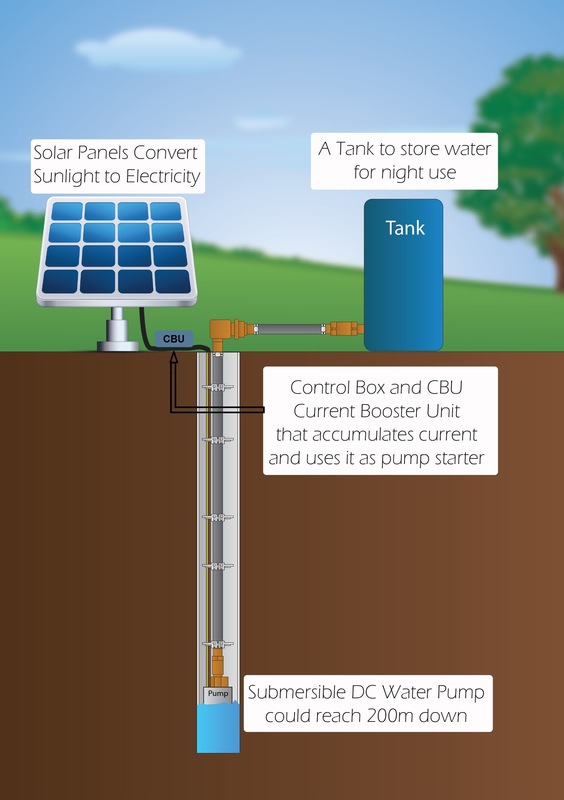 We are using DC pumps with regulator boxes, which means that pumps don’t require an inverter from the solar panels. 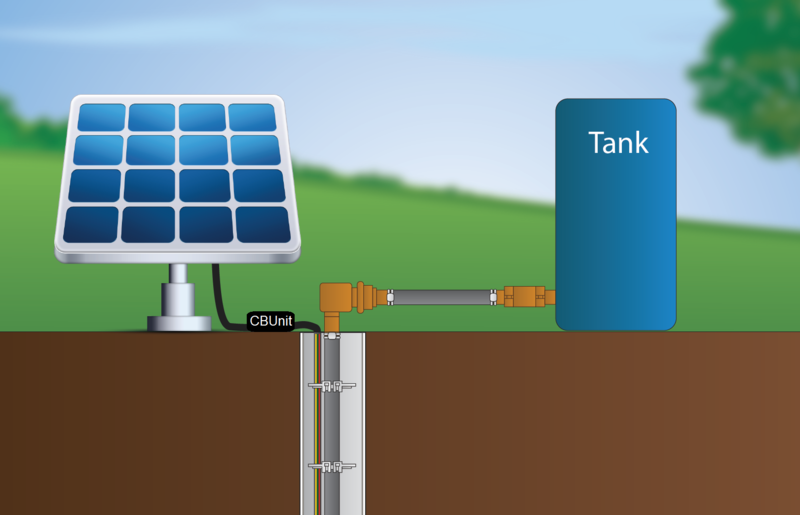 This is because not all pumps consume the same amount of energy since this depends on the depth of the submersible pump, its capacity and also on the surface area of the photovoltaic panels and their efficiency – the most efficient panels currently available in the market absorb around 17% of sun radiance. We are currently in the development stage of the product and our team is working on improving the booster unit that is responsible for starting the pump. We are also in the process of establishing a partnership with Lorentz, a German pumps company, as well as with the Algerian Solar Panels Company, which will be established in Rouiba in 2014. We are also in the process of raising funds to help finance the project and we have initiated proposals for General Electric and Siemens for both financial and technical support. Currently, the market price of a submersible pump and a three-cylinder generator could be up to 500.000DA while the price of the solar powered system is around 300.000DA. Even though there are multiple systems available on the market, they tend to cost a lot, typically around $2700. We are therefore looking at ways to reduce the cost to approximately $900 through both technological and business innovations. Indeed, the main factors that make this kind of systems expensive is having to import every one of their parts from abroad, hence incurring further expenses to cover transportation and taxes. Our approach to bringing the cost down is based on two measures; first, we plan to partner with local companies who will provide the solar panels and thus cutting down on importing expenses. Second, we plan to construct the electronic modules from scratch from basic electronic components with our own design and specification, hence avoiding having to purchase them from a third party. We are hoping that such an economic and innovative system will help farmers by providing a sustainable and cost effective means for accommodating their water needs. The system could also provide flexibility to farmers who irrigate at night time if combined with reservoirs that could be filled during the day. At the moment, the current design of the solar system cannot support large plantations or spray irrigation. This is because spray irrigation requires more powerful pumps and hence more energy that cannot be supplied with current solar cell technology. However, the initial design of the system can be used to irrigate trees that rely on drop-drop systems, or to provide drinking water for cattle where the required energy is not too high. Auresia’s solar pumps system has also the potential to increase the use of abandoned agricultural lands by opening up access to the energy needed to support farming activities in areas that are not yet reached by the electricity network. Our vision is to extend the utility of the solar pumping system to other farming activities too, such as maintenance of chicken houses where farmers often lose a large number of chickens due to summer heat; a problem that could be solved by installing solar panels on chicken house roof tops to power cooling systems. Note: The author declares competing financial interests in relation to the opinions described in this article. 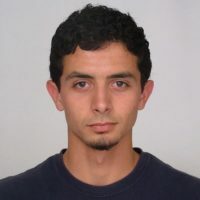 Taki Eddine Djeffal is a final year Electrical and Computer Engineering student at the Institute of Electrical and Electronic Engineering, University of Boumerdes and alumni of Michigan University, with interest in technical and social entrepreneurship. He is CEO into-the-making of AURESIA Solutions, an Innovation and product development hub for young entrepreneurs which aims to bring positive change to Algeria through simple technical solutions.